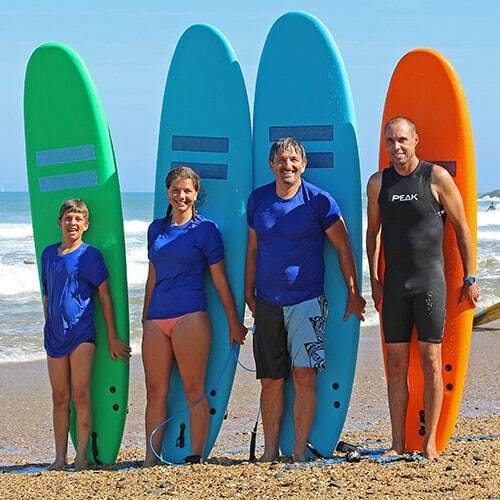 Our surf school is located on the beach of Les Sables d'Or in Anglet. La chambre d'Amour, an ideal surf spot to start! Last beach in the Chambre d'Amour district, Les Sables d'Or beach has all the characteristics of an urban beach. Surrounded by more than forty bar-restaurants, it is frequented all year round. All year round, during the day and in the evening, under the lighting that illuminates the surroundings, the bars and restaurants along the esplanade of Les Gascons welcome English-speaking people and tourists passing through. In the summer, the Rayon Vert, the restaurant directly on the beach, opens. The Beach House, the trendy bar-restaurant located just in the back, attracts a completely different kind of wildlife that travels by Harley. A few meters away, beach volleyball players find their balls and nets before being joined at the end of July by the joyful and colourful caravan of the Anglet Beach Rugby Festival, one of the summer's great attractions. On the beach of Les Sables, the usual meeting place for summer visitors but also for a whole part of the Anglophone youth, we laugh, we invective each other, we play ball, snowshoe, picnic, we learn to surf! Whether you are an angloy or visiting the city, you must meet up for a while in Les Sables d'Or. The municipality made no mistake in setting up a tourist office that never runs out of people. Les Sables: the place to be ! This beach offers a popular surfing area. The low tide is to be preferred, the high tide covering the entire beach and creating a large backwash. The cradle of surfing in Anglet, it hosts a number of competitions including the Night Surfing, a unique competition in Europe, and the Pro Anglet in August. The top of this beach is equipped all year round with beach volleyball courts accessible to all. Parking and restaurants nearby. Free shuttle in July and August. Public showers and toilets. Sheltered by cliffs to the south and a rocky spur to the north, the configuration of the spot allows to filter the waves and to guarantee a quiet and good quality surf all year round. 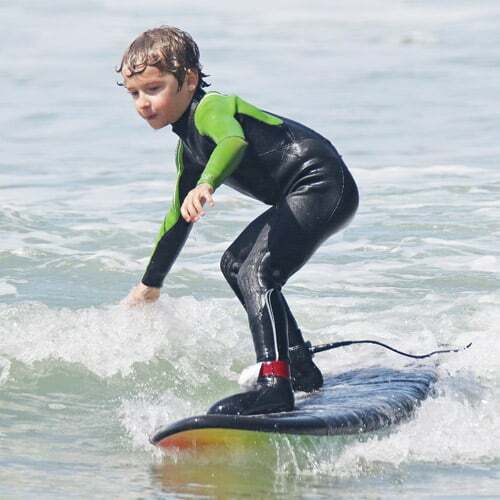 Ideally located on the golden sands beach, you will enjoy a high quality surfing course and spend 1h30 in the water ! Remember to book in advance because in summer and during school holidays, slots are taken on 7 days and there is no place for last minute reservations. We provide the board, wetsuit, monitor (and transport if the ocean is in a storm and you have to leave the area to go to a retreat spot). Simply bring a jersey to put under the suit, a towel, a diaper and a bottle of water. in order to give you the greatest possible satisfaction. We will therefore call you back 48h before the course day to give you your course time according to the tides but also the "reliable wave and weather forecasts". 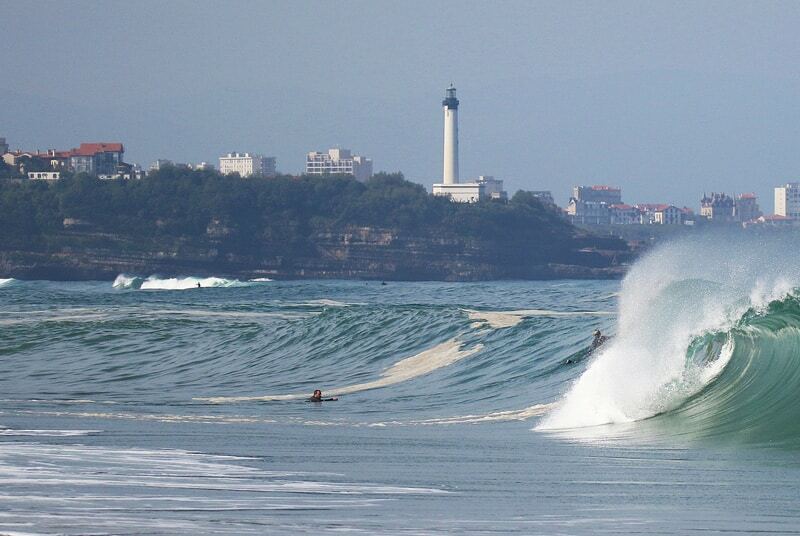 Book now your surfing slot on Anglet Sables d'Or by paying 50% deposit. Specify the day in the comments, we will call you back a few days before the course (no later than 48 hours) to give you a schedule.